Whether it's baked into fitness trackers or through dedicated devices, there's no shortage of ways to keep an eye on your sleep. Startup Sleepon believes there's still room for innovation in the sleep monitoring realms and it's hoping it can offer something new with its Go2Sleep smart ring. The wearable is all about tracking your Zzz's, but it also wants to improve sleep habits and even promises to help detect a sleep disorder that affects millions of people. The iOS and Android-friendly setup is made up of a small core that instantly makes us think Baymax from Big Hero 6, and a finger sleeve so you can fit it onto one of your digits. 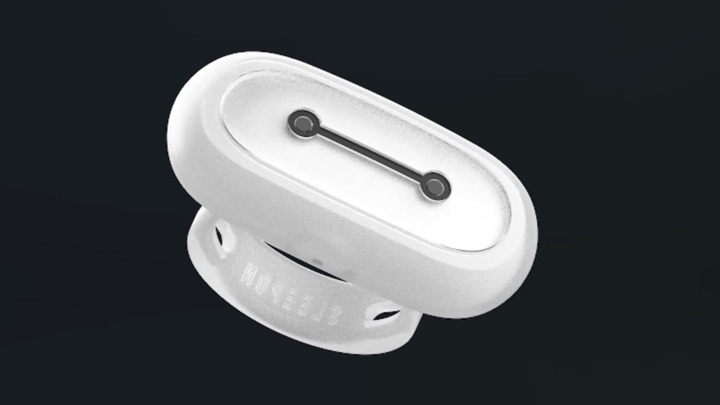 Once you've slipped it on before you jump into bed, the 3-axis sensor along with blood oxygen and heart rate sensors will record data including perfusion index (pulse strength), heart rate and blood oxygen saturation. As far as unique sleep metrics are concerned, it claims to be able to even track your tossing and turning during the night. That data is then synced to the companion smartphone app where it'll produce analysis and reports using AI to help offer personalised recommendations on how to change sleep habits, as well as suggest changes in your diet and exercise to help improve sleep. Sleepon also says the wearable will be able to screen whether you're suffering from sleep apnea, a disorder that both Fitbit and Apple are actively exploring with its own wearables. The disorder currently affects 18 million Americans and when untreated can lead to an increase in the risk of high blood pressure and obesity, and can even cause a heart attack. So it's definitely serious stuff. Uncovering the disorder is based on the results of your data analysis (sleep report) although Sleepon suggests that you will still need a physician to provide the correct advice or treatment. The idea then is that the data collated by Go2Sleep will help make a proper diagnosis of the severity of the disorder. Other key features include haptic alerts, which can indicate low blood oxygen levels in real-time, water resistant design so you can wear it while washing the dishes, while battery life will stretch to 3 nights with the device able to store up to 7 days of sleep sleep data. The Go2Sleep has already passed its $20,000 target goal on Indiegogo with plenty of days still to run on the campaign and is expected to ship in May 2018. If you want to back the Go2Sleep, you'll need to part with at least $99 to secure one when it's ready. It's worth pointing out that it is currently at prototype stage, so there's no telling how close or far away it is from completion. Interestingly though, among its core members is someone that worked on Intel's first generation Basis fitness watch so there is some experience of building wearables on the team. Even if Intel did halt production of Basis devices back in 2016. We'll be trying to grab some time with Sleepon over the coming weeks to find out more about the Go2Sleep story and get a better feel of whether it's a project worth backing.